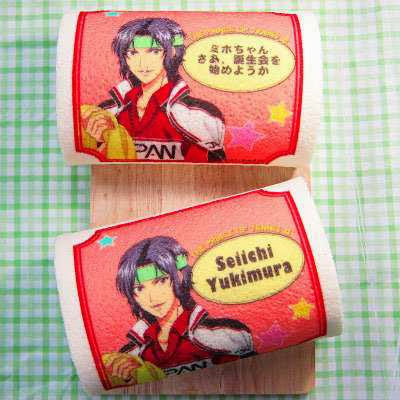 The New Prince of Tennis' Yukimura Seiichi Roll Cakes! More anime roll cakes has been trotting out from the cake maker Priroll. 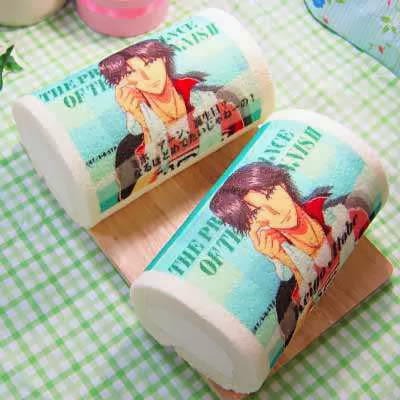 This time, the customers would be able to enjoy a delicious and mouth-watering cakes with an illustration of Yukimura Seiichi from Konomi Takeshi's popular manga and anime The New Prince of Tennis. 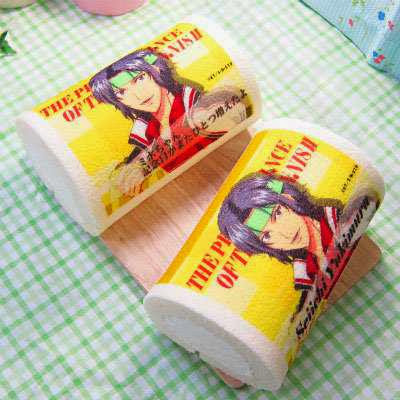 Each roll cake has colorful designs of Yukimura Seiichi in his All-Japan uniform behind either a yellow or red background. 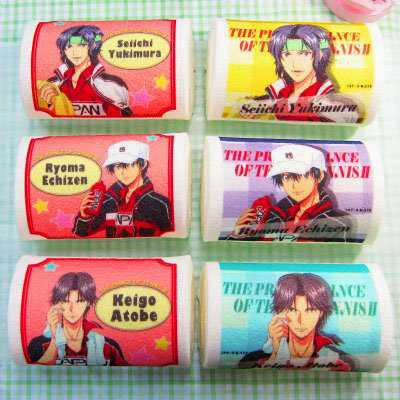 Aside from that, Echizen Ryoma and Atobe Keigo cake rolls are back on sale too by popular demand. 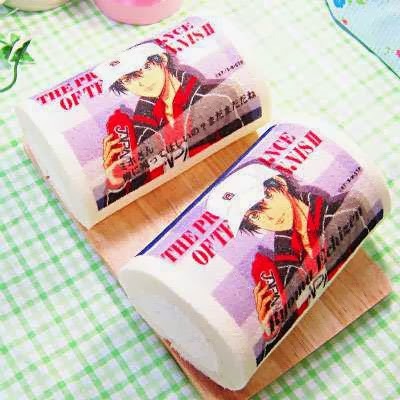 These roll cakes are now available on the Priroll website and each Prince of Tennis cake roll costs 2,000 yen or $19.51 but additional fees would be given to customized ones with personal message making it 3,500 yen or $34.15. 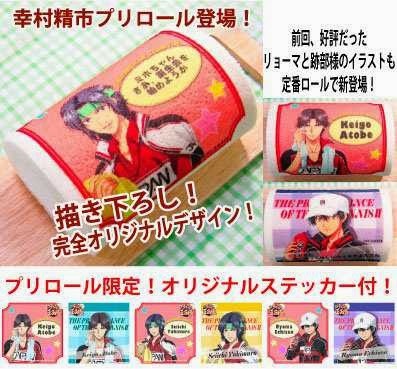 The cakes are not only available on The New Prince of Tennis designs but also with Attack on Titan and Pretty Rhythm Rainbow Live designs. They look like rolled towels.